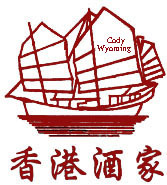 Welcome to the Cody Hong Kong Restaurant. We will do our best to make your visit a delightful one. If you feel content, satisfied and fulfilled as you walk out the door, then we have achieved our goal. We have drawn upon our heritage and experience to become the finest Chinese restaurant in the area. You can enjoy dishes from the various Chinese cuisines: Szechuan, Mandarin, Hunan and Cantonese. Our menu provides numerous choices for many diets from meat or seafood lovers to vegetarians. Each of our dishes is made to order with the finest ingredients available. As in all traditional Chinese cooking, we use extreme heat to ensure that the food is fully cooked but retains full flavor. Chinese cuisine incorporates three elements; it should be colorful and pleasing to the eye, have an enticing aroma, and above all exquisite flavor. We invite you to sit back and enjoy your meal.